Birthday, birthday, birthday time! Only 10 days from now I'll be turning 23 and like every year I replaced my monthly must haves by a birthday present wish list. I'm already super excited for my birthday, not only because of the presents, but also because of the fact that my best friend from Germany will be visiting me for that occasion. I guess the older you get, the more birthdays are about spending time with beloved ones. That's also why I'd love to go to a restaurant with my other friends but I'll have to see if I find the time. Anyway presents are never wrong either so back to the stuff on this wish list! I have already been craving the necklace and earrings for ages so they were the first things to be featured. Then I'm also really into home decor like pillows or candles and I only recently heard about the "My Jolie Candle" concept which is just lovely: You burn down the candle to find a piece of jewellery at the bottom of the glass! Then of course I also wish for some more shoes (a girl can never have enough, right?) and funnily enough both pairs have eyes, haha! Is anybody else nearing their birthday? I know that November is one of those months where everybody seems to have birthday so I want to get to know the other Scorpio ladies among you! 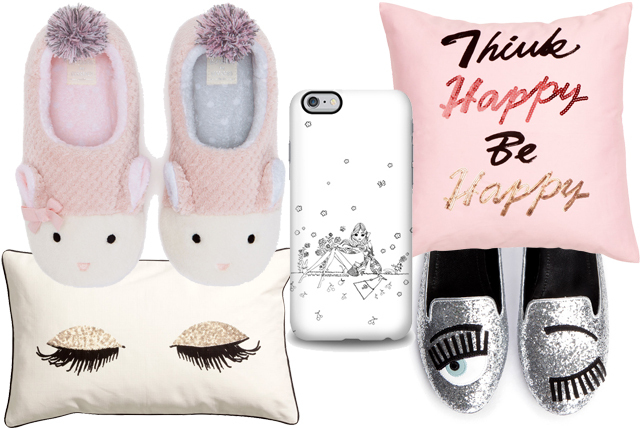 How cute are the bunny slippers? We should have a birthday drink together as mine is coming up soon too. 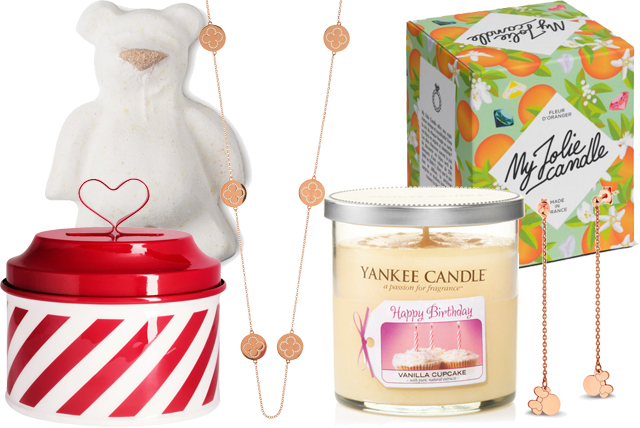 Adorable wishlist. I love Yankee Candle and glitter slippers are very cute.